The Atlantic Campaigns team are a brilliant company to be working with. With clear ideas of what they wanted and great communication skills. 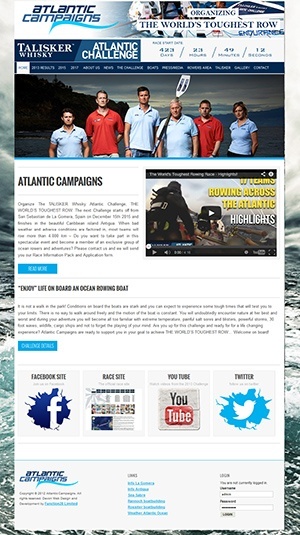 As the organisers of the Talisker Whisky Atlantic Challenge we are often working on short deadlines with media pressure. Function28 respond with speed and accuracy that enables us to keep our teams and their friends and families up to date in a timely manner. Our constant stream of updates are dealt with and processed quickly and communication is great. We enjoy & appreciate the hard work that Function 28 puts into our site and often use their skills & ideas for creativity in the development of our site.